The high quality of our snacks, lunches, dinners, evening meals, Restaurant Meals and Bar Meals cuisine and menus makes Askrigg's White Rose Hotel the perfect venue for eating out and the number one amongst places to eat. Food of the highest quality is our speciality.... and we have extensive food menus for lunches and dinner... so our lunchtime and evening meals treats give you plenty of choice. A tastefully designed and equipped bar provides a perfect setting for our professionally prepared and cooked light snacks, bar meals, and of course real ales. It is a lovely environment with a real country inn feel. 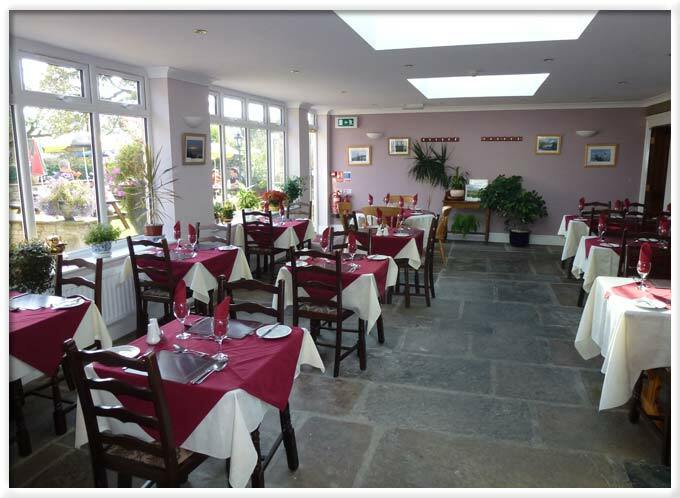 Dinner is served in out candlelit and intimate restaurant or conservatory. We offer an a la carte menu all cooked to a high standard, using fresh local produce. To ensure a standard associated with a good hotel, a professional chef cooks all of our food. Our food really does have to be savoured - so do come along and try it. A comprehensive and realistic priced wine list and a fine selection of real ales are also available. Please select this link to find sample menu selections and sample pricing.... but please contact us for confirmation of actual menu items available and actual prices both of which may change without notice from time to time.